Get ready to fly off into the wild blue yonder! While we're not entirely sure what a "yonder" is (some kind of Swedish snack food, maybe?) we do know that you want to play it safe and wear the right gear before taking off. A dashing scarf and a bomber jacket are good ways to stay protected and toasty while pulling off death defying stunts in your chilly biplane, Did we mention they also happen to look awesome? To keep your noggin warm and your hair from blowing around in that breezy open cockpit, you'll also want to add this Aviator Brown Hat to your airborne ensemble! This vintage style, faux leather skullcap looks just like those worn by fearless pilots and pioneers during the early days of flight, and features buckled straps that fasten under your chin. 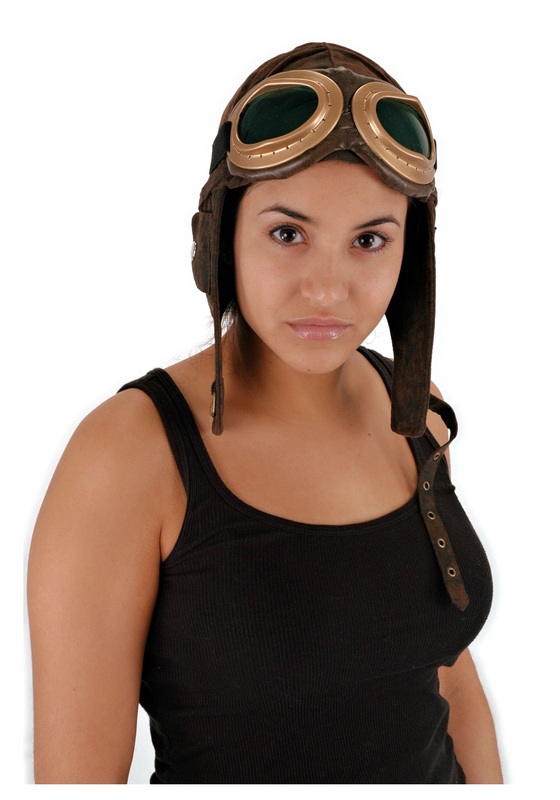 Add a pair of goggles to complete this heroic aviator or steampunk look!